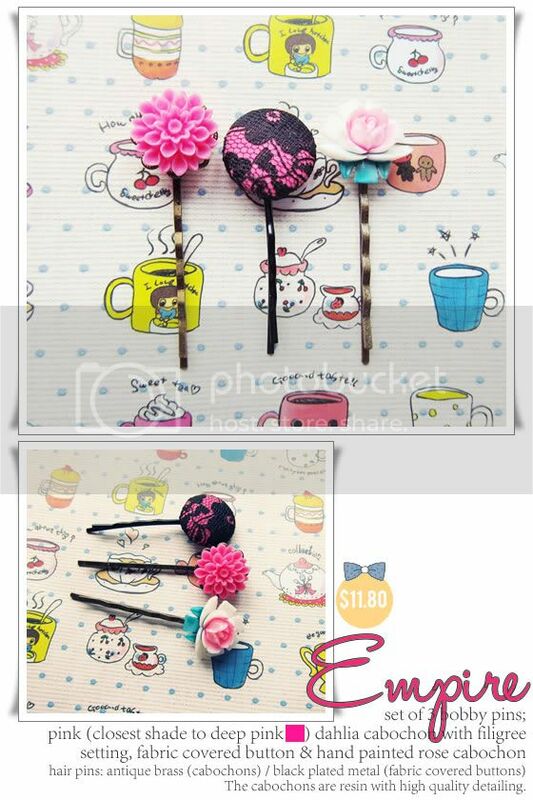 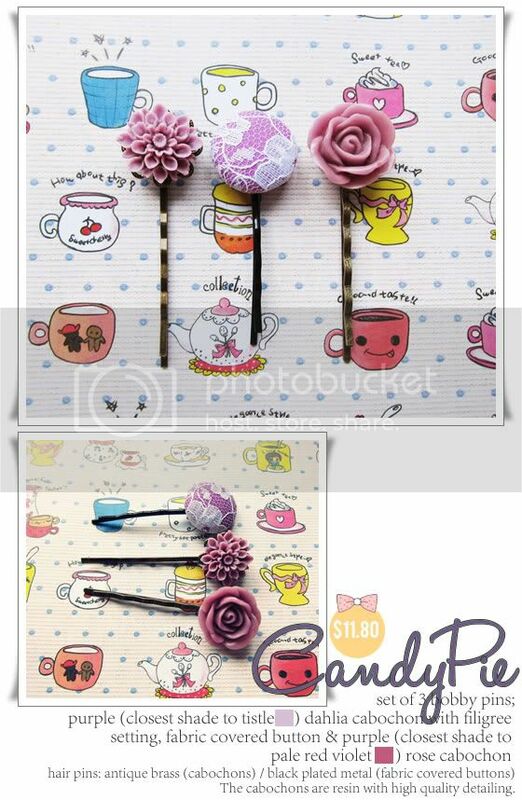 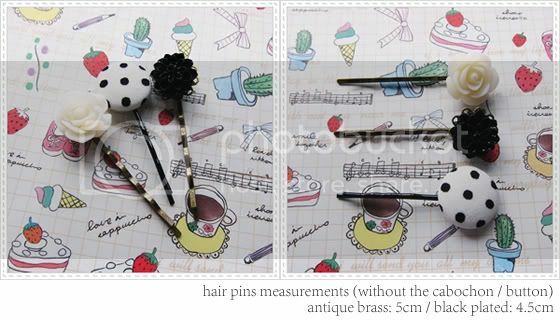 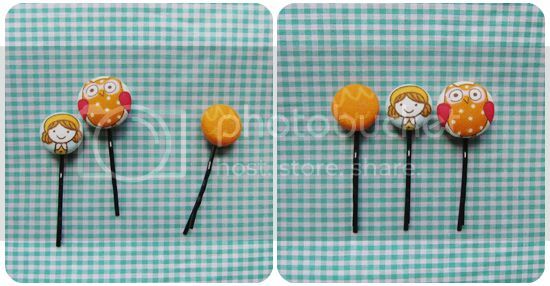 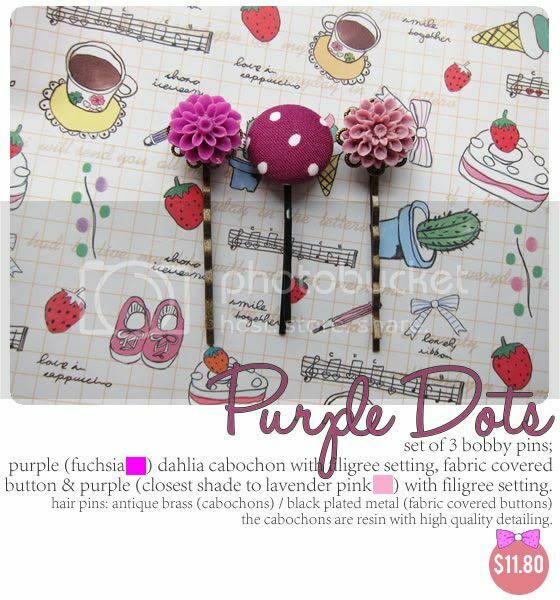 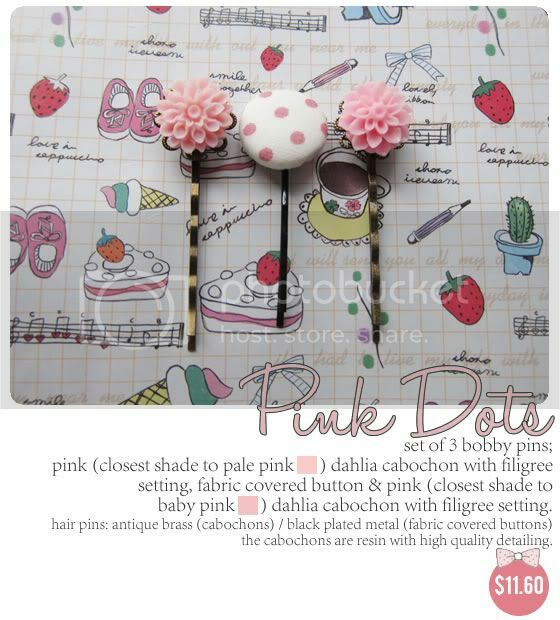 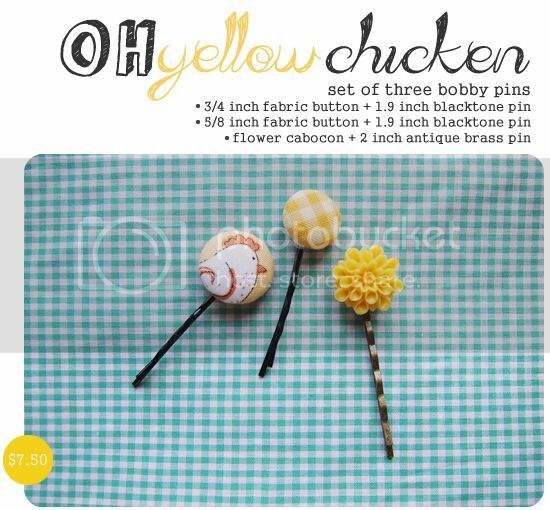 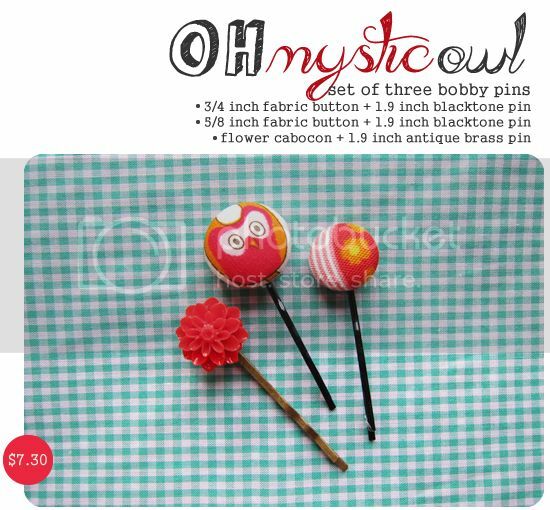 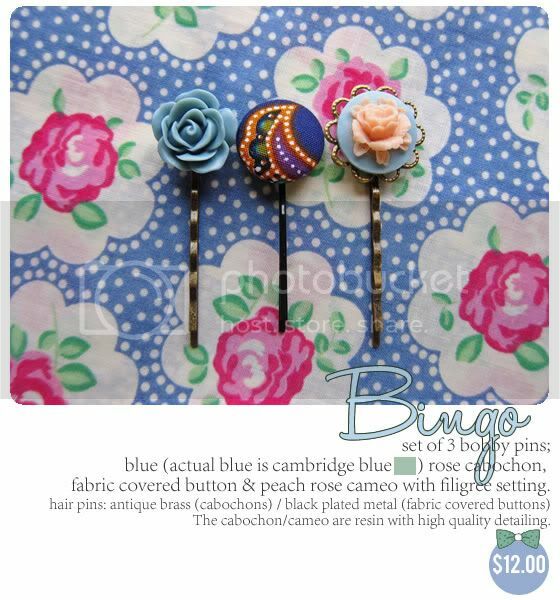 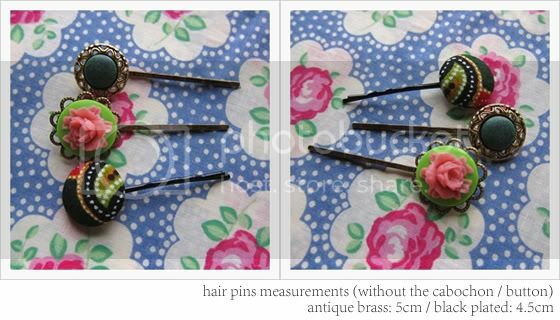 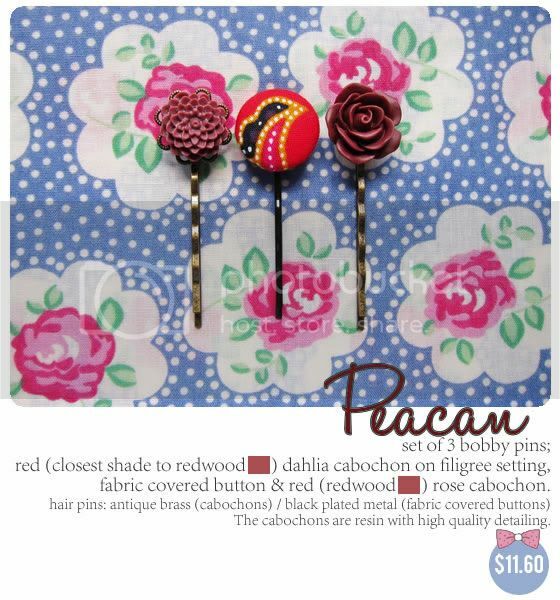 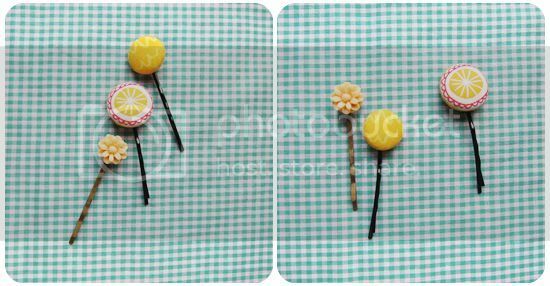 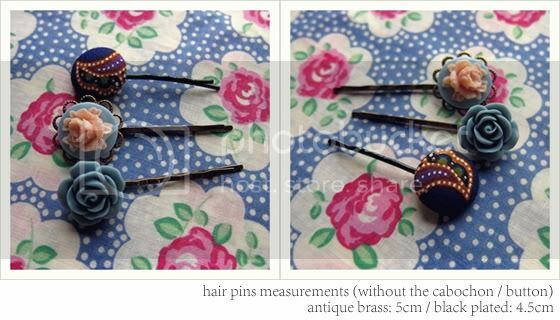 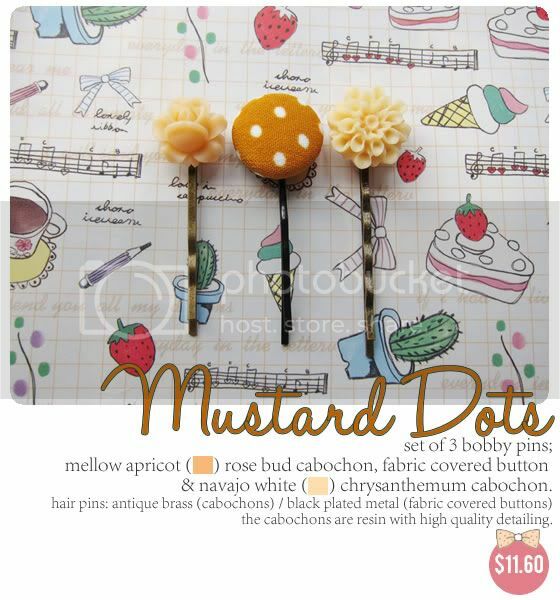 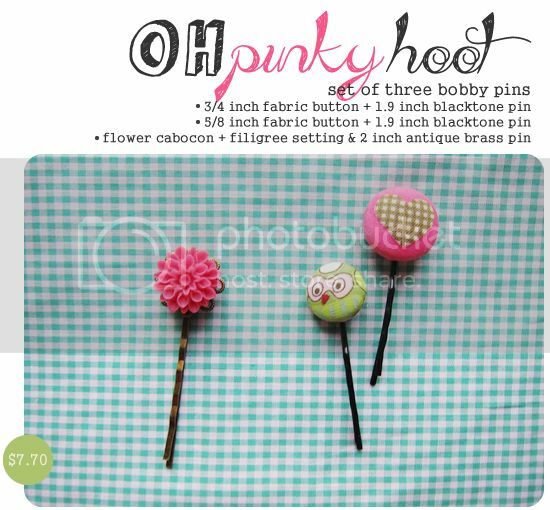 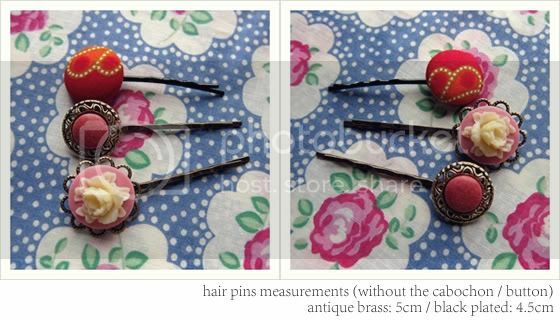 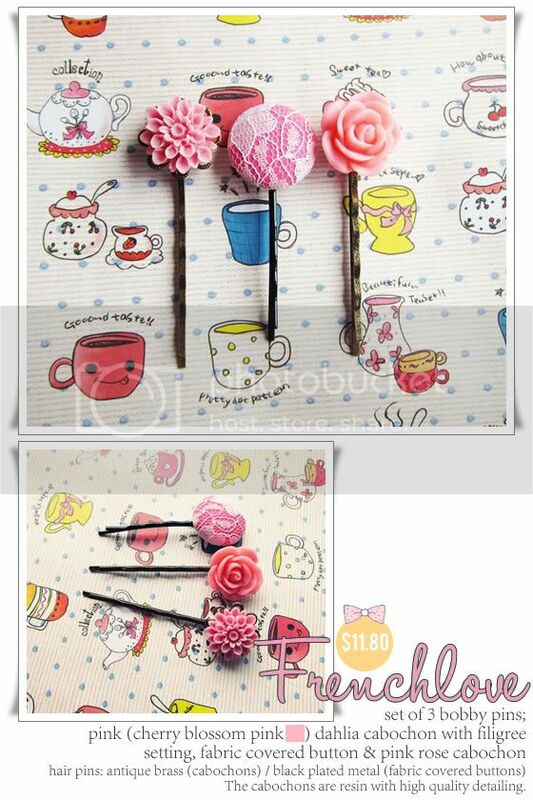 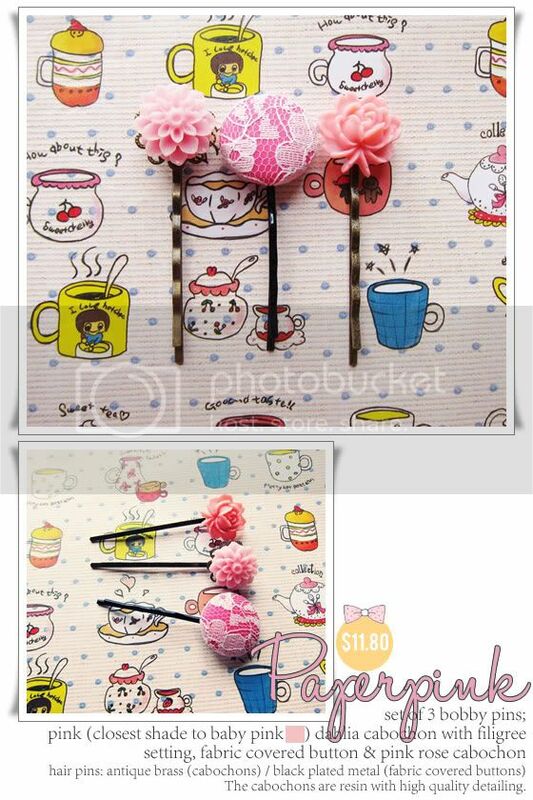 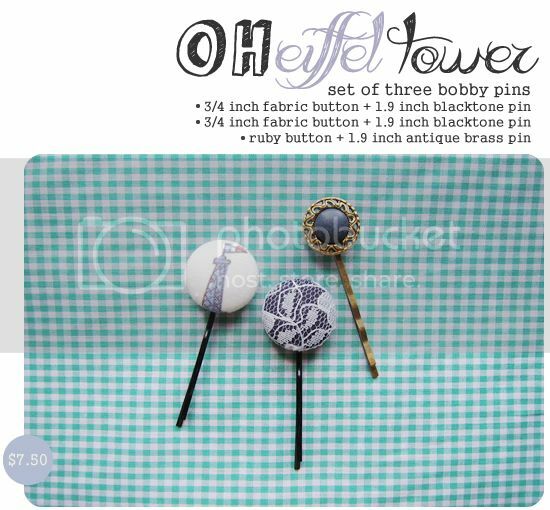 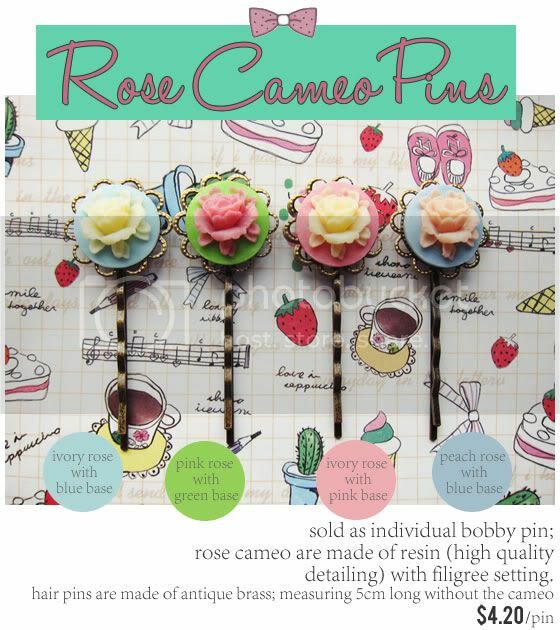 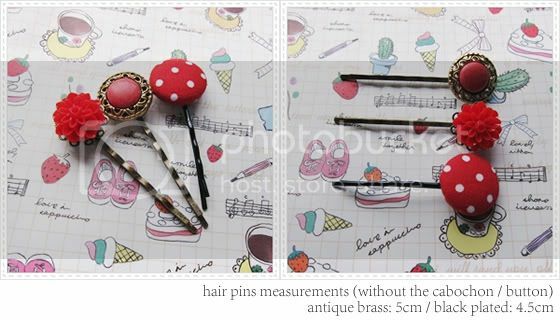 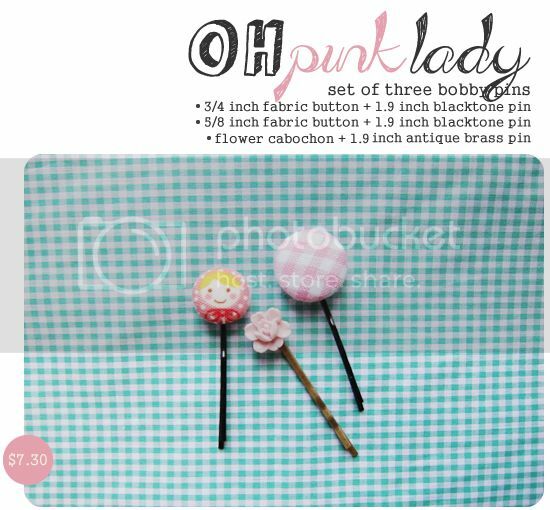 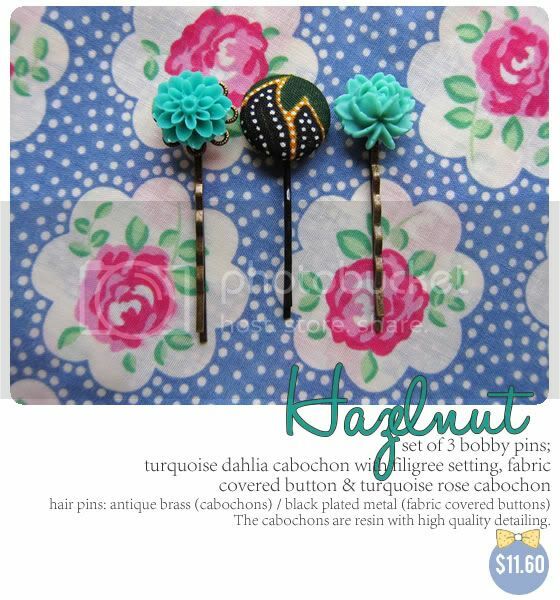 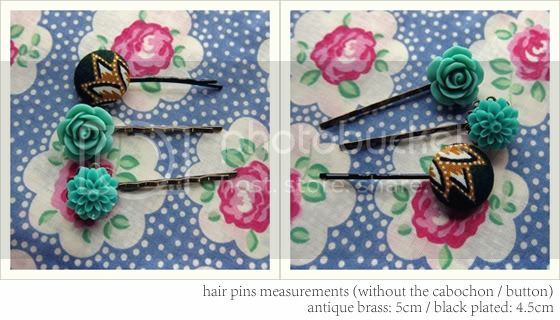 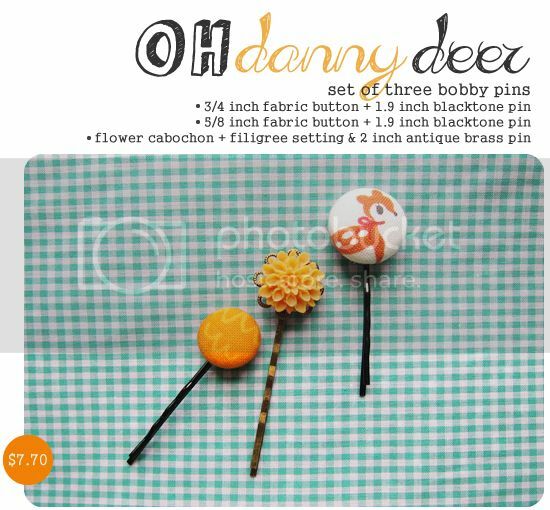 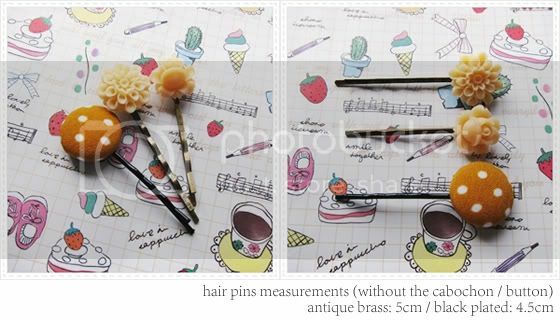 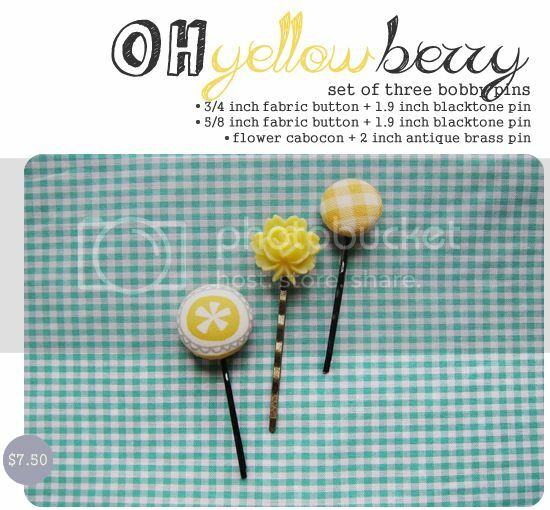 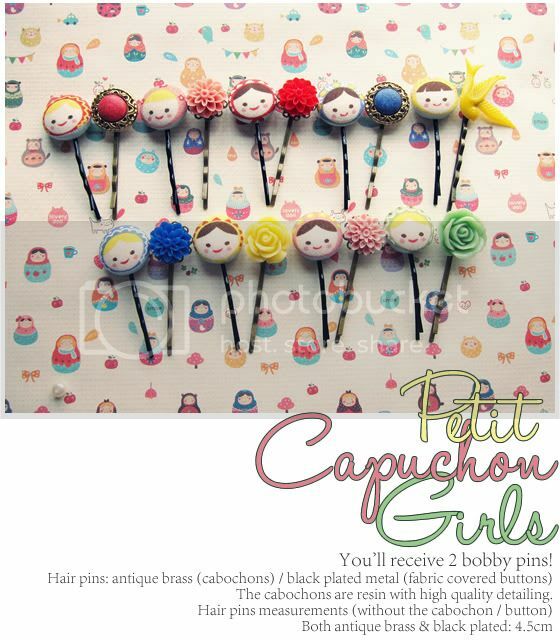 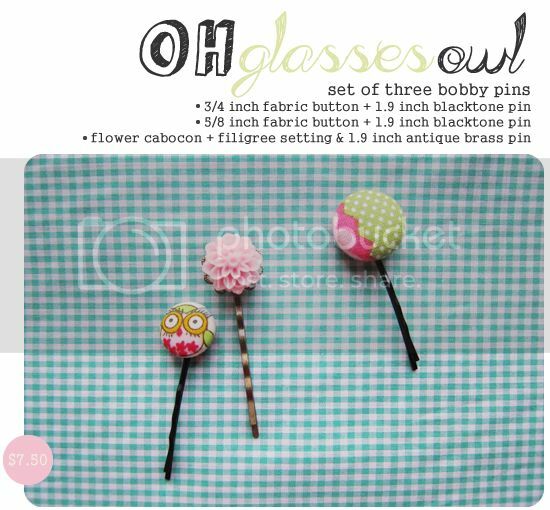 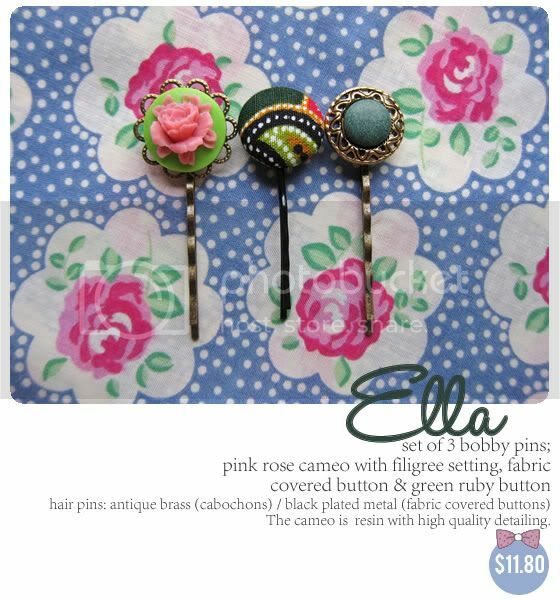 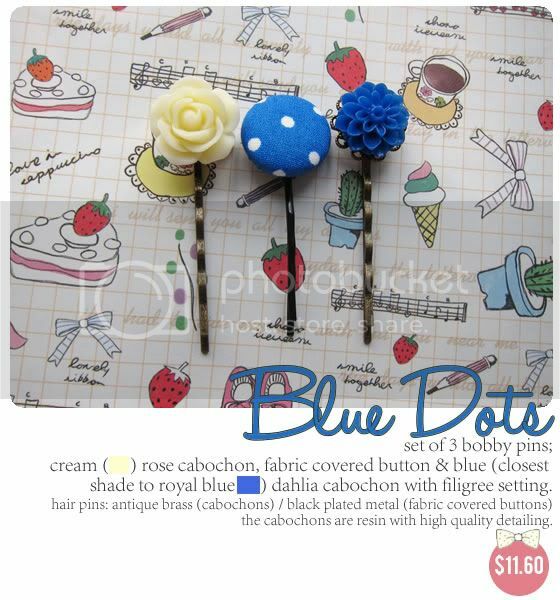 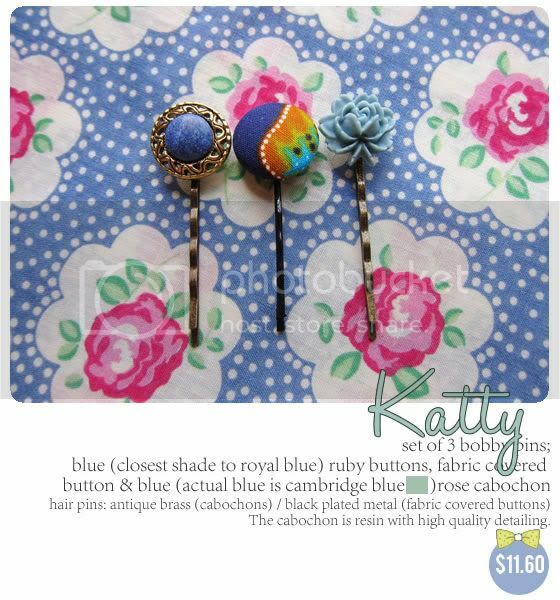 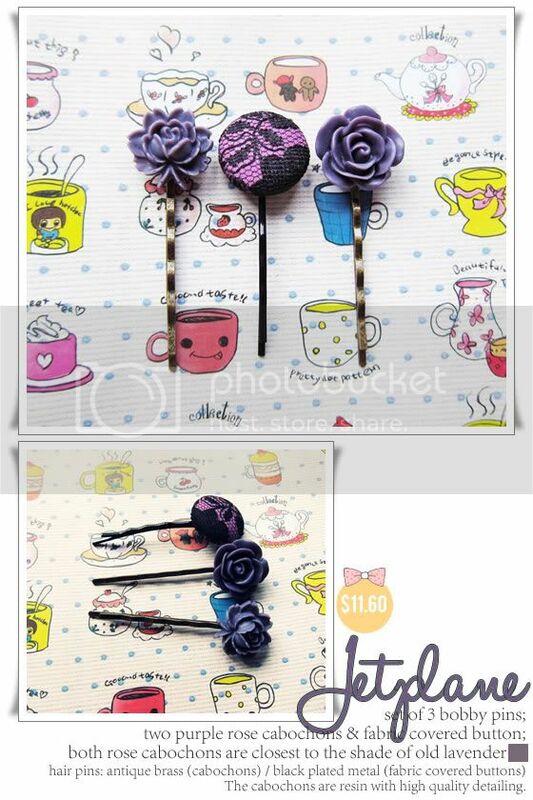 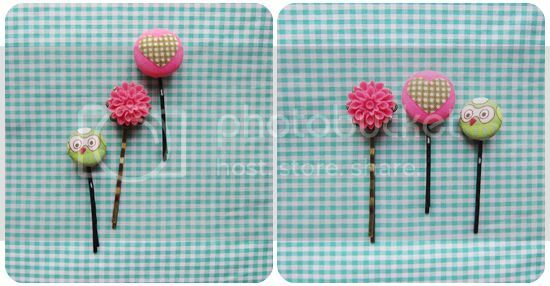 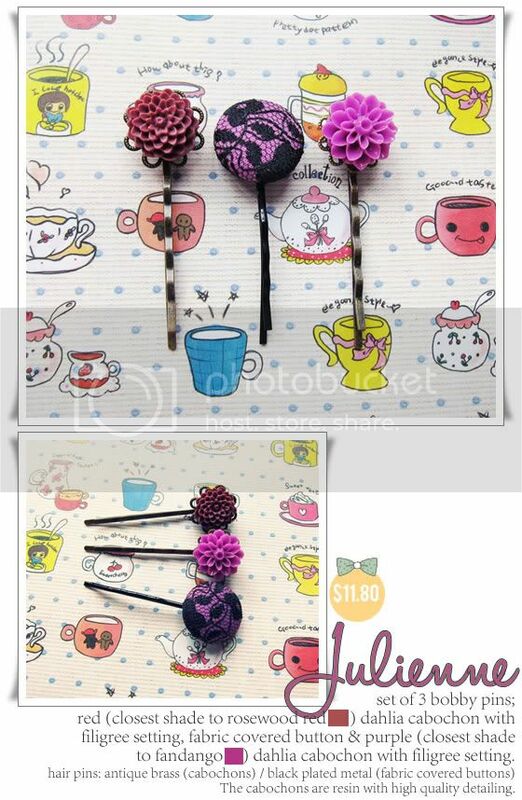 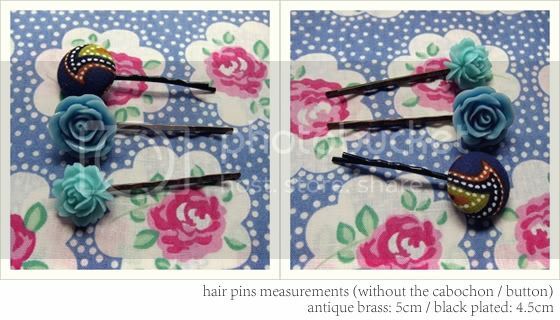 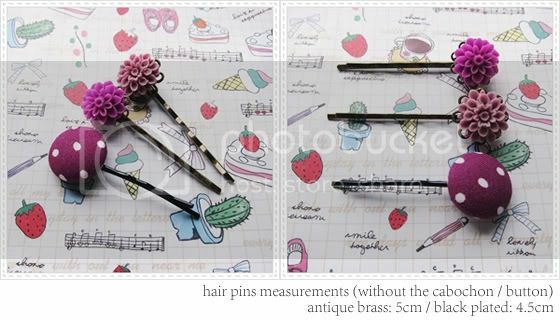 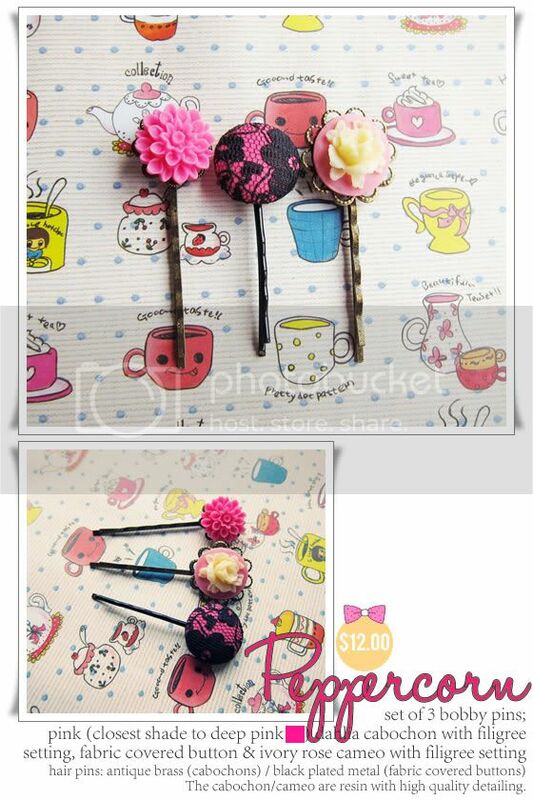 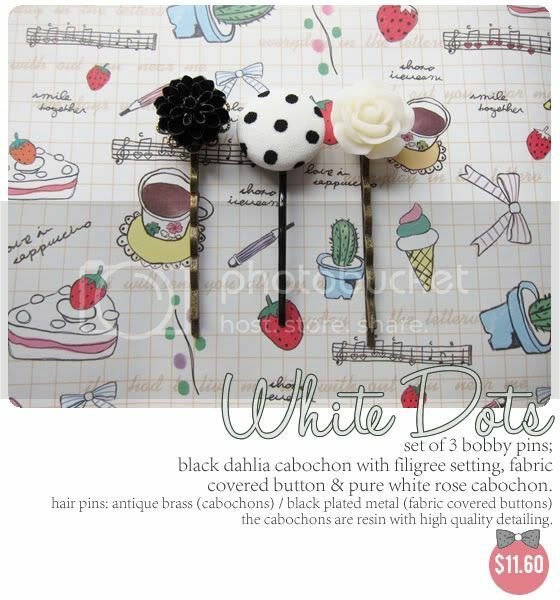 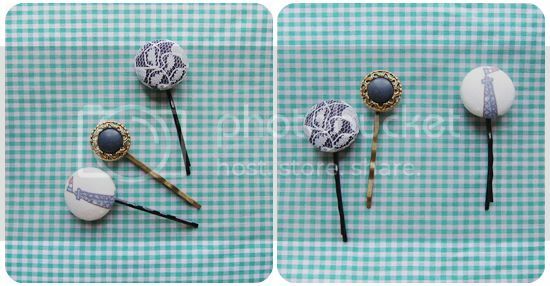 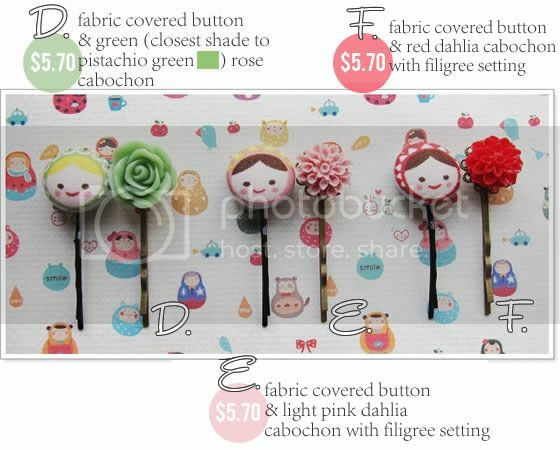 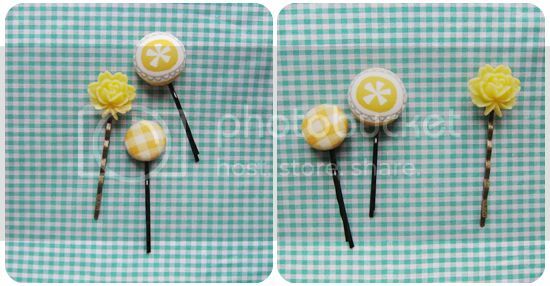 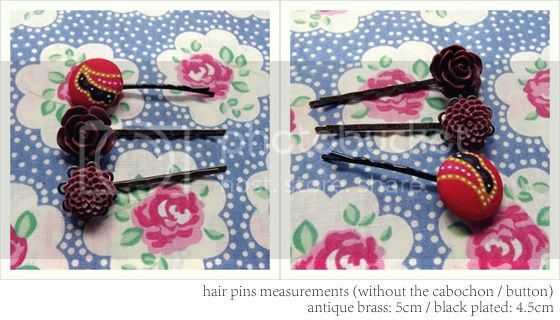 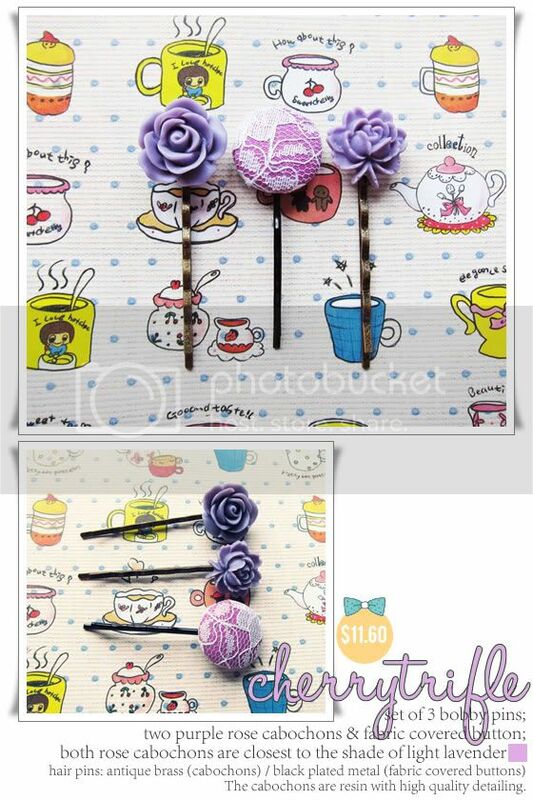 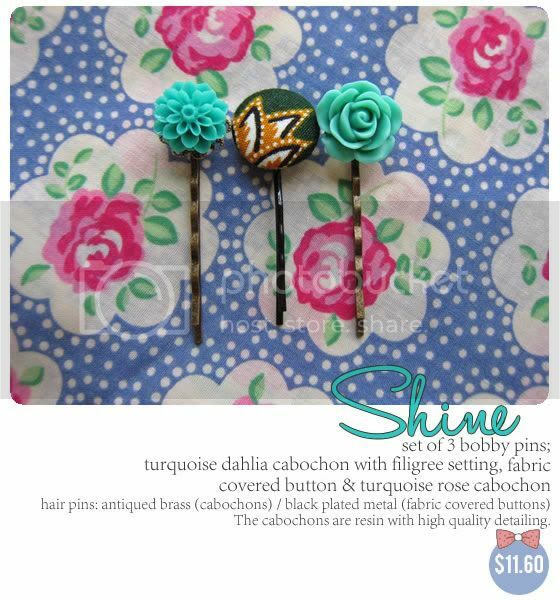 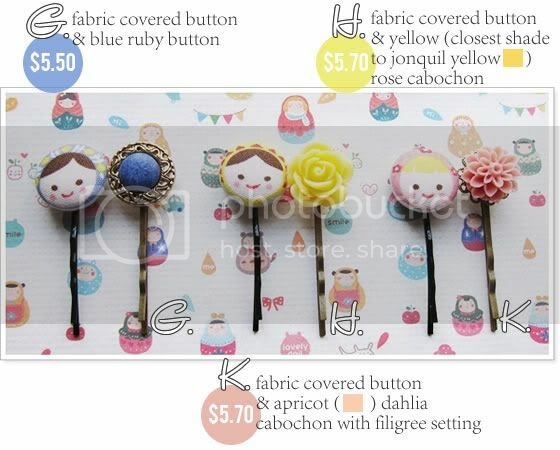 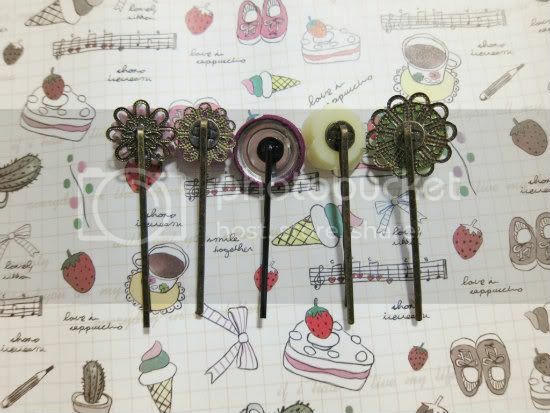 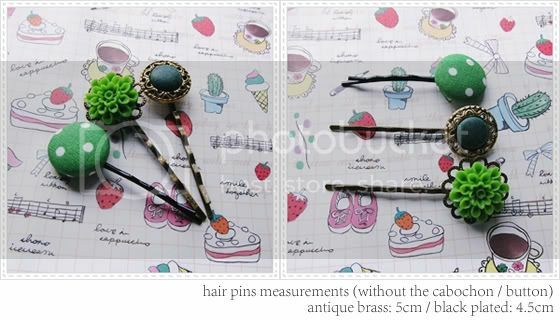 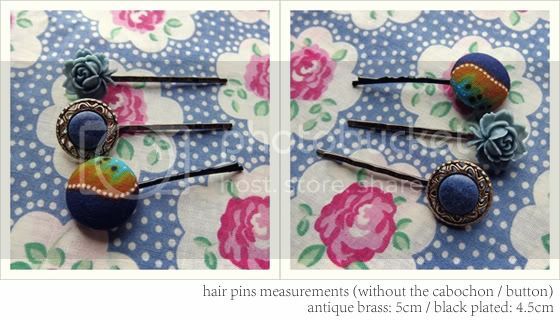 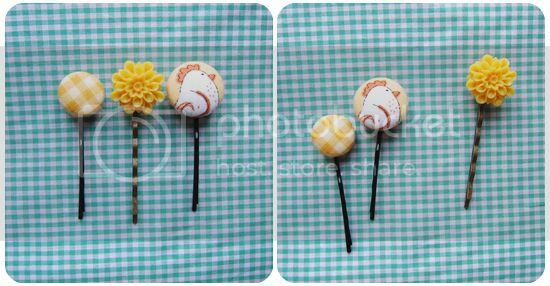 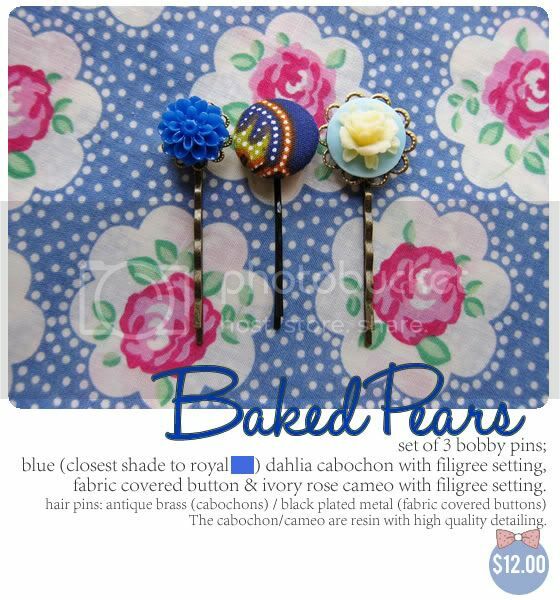 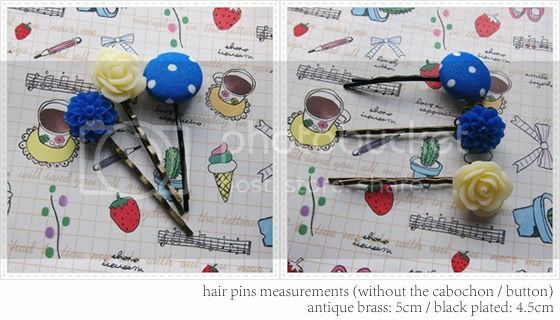 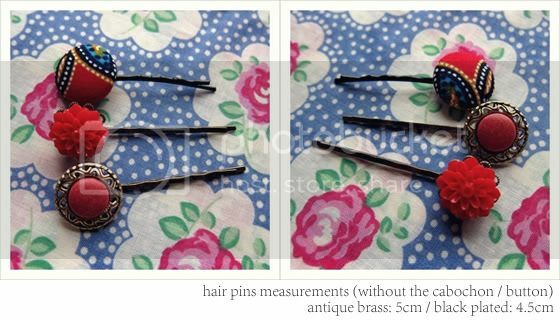 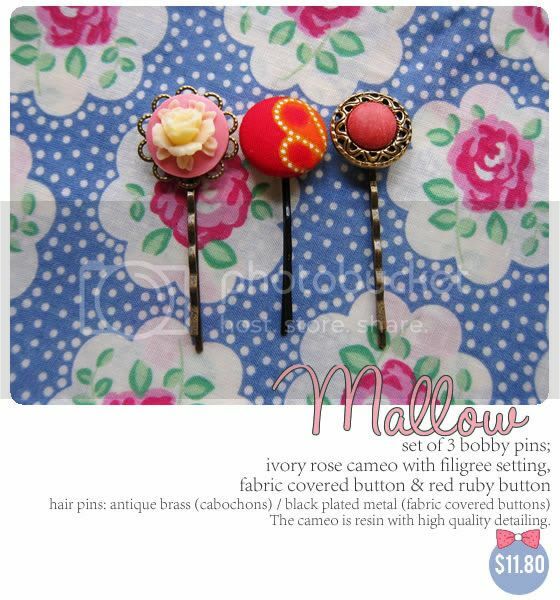 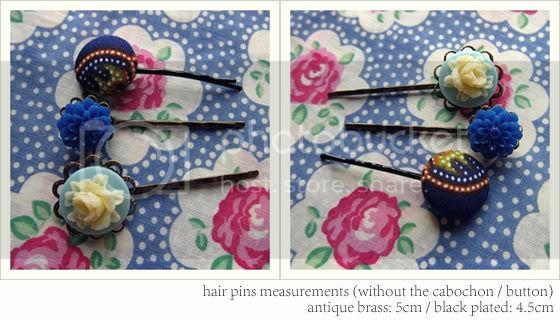 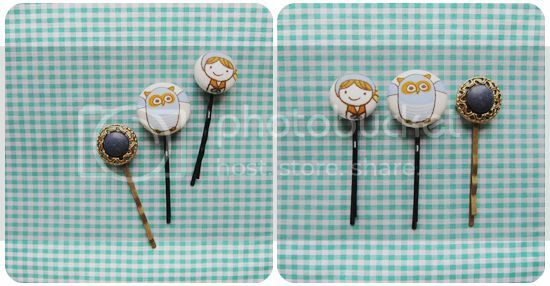 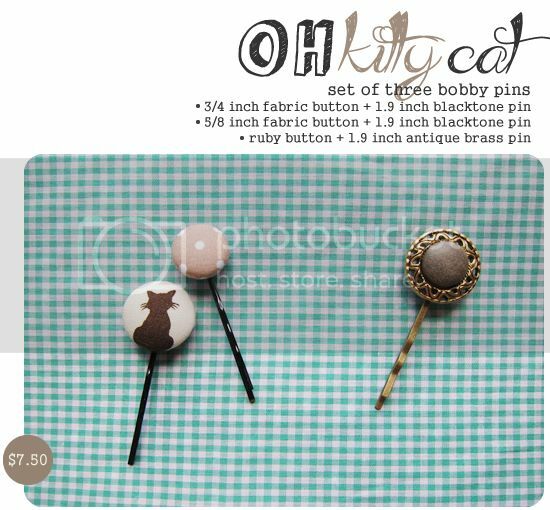 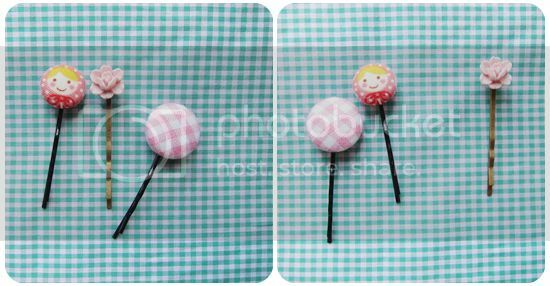 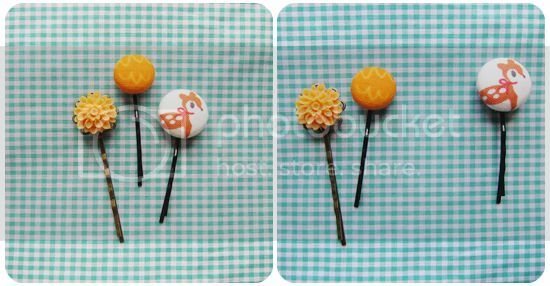 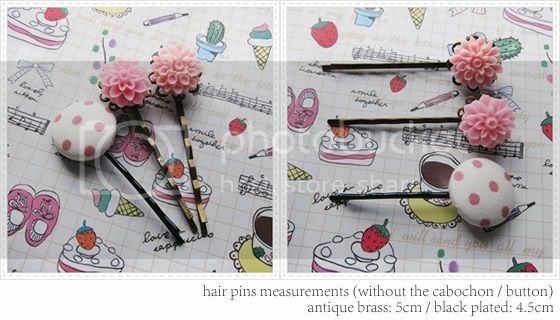 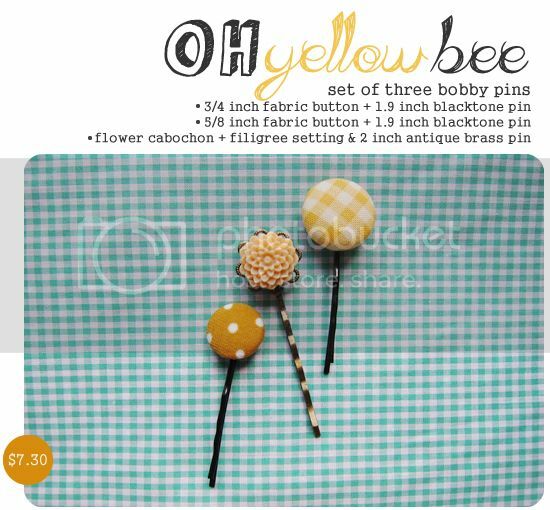 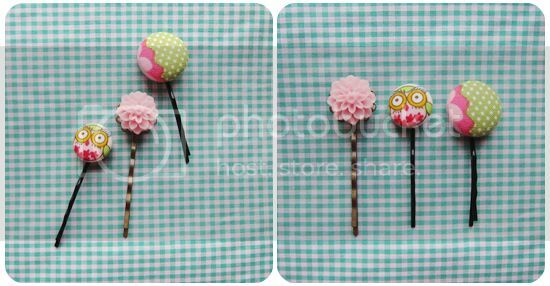 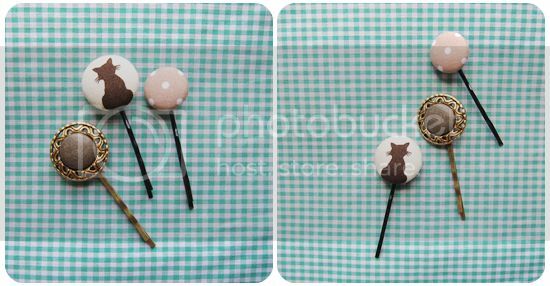 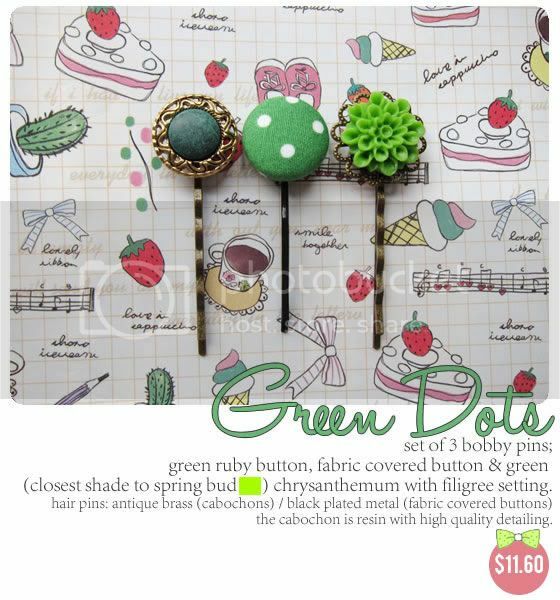 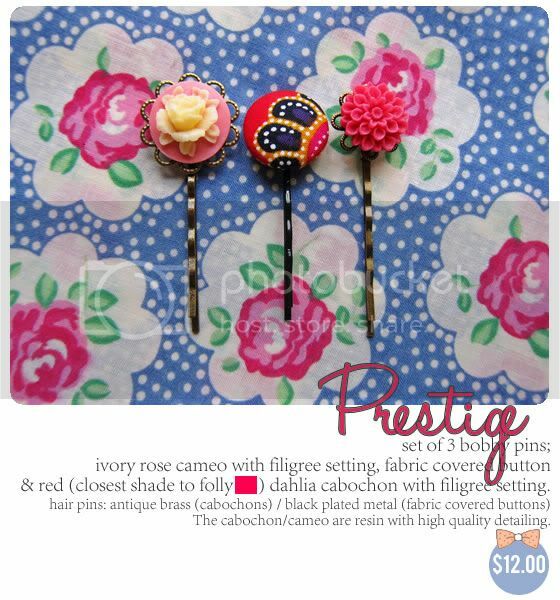 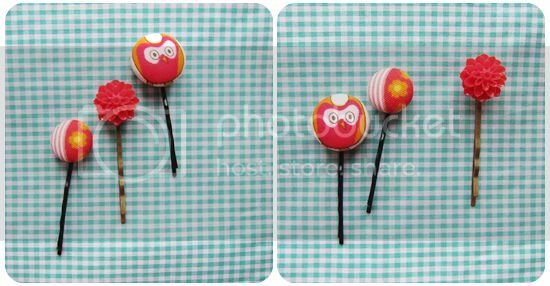 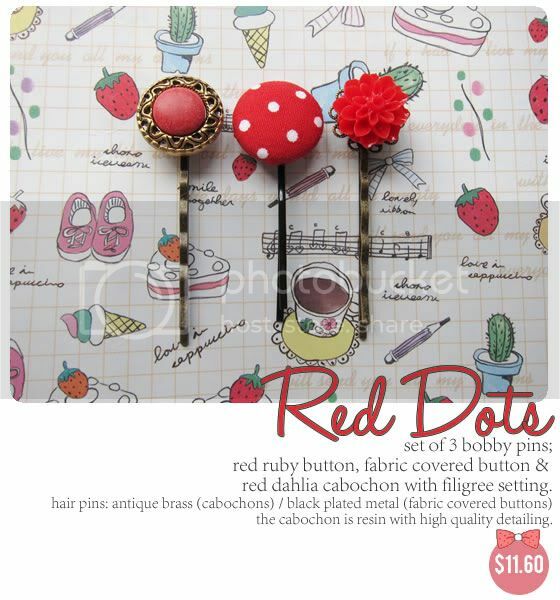 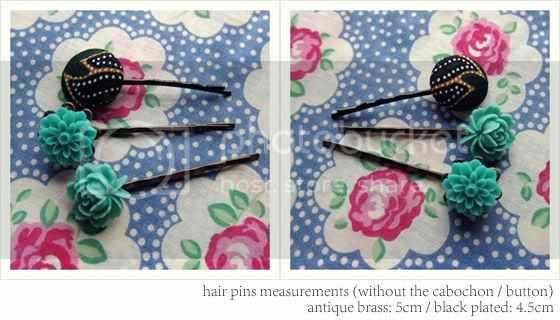 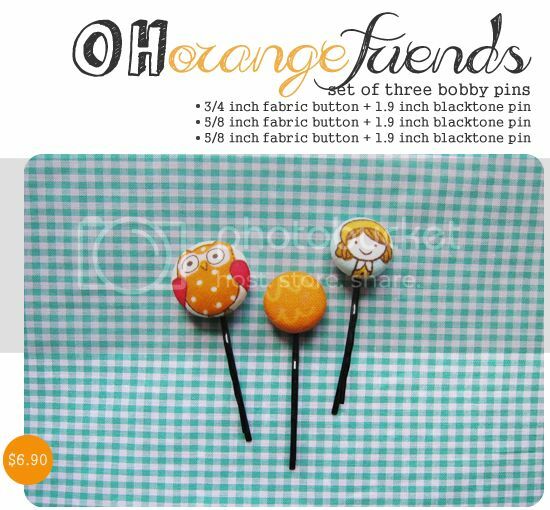 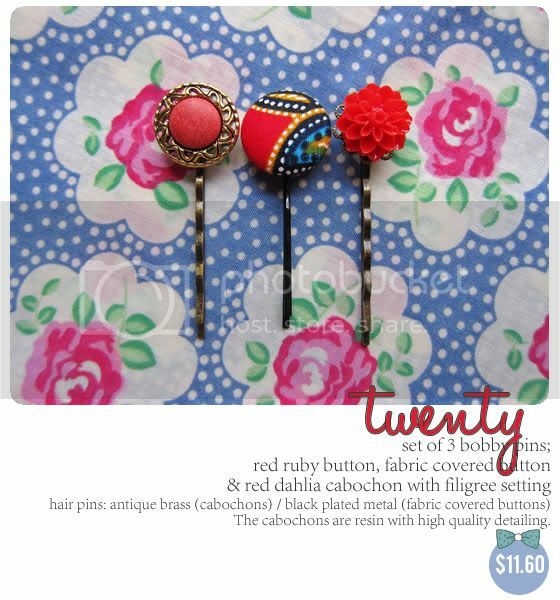 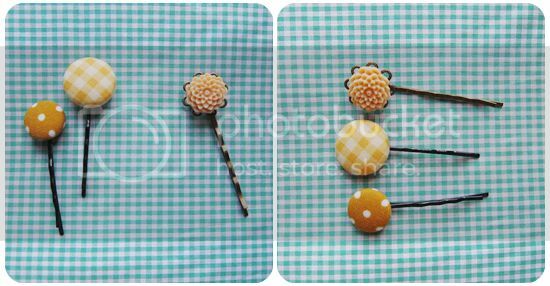 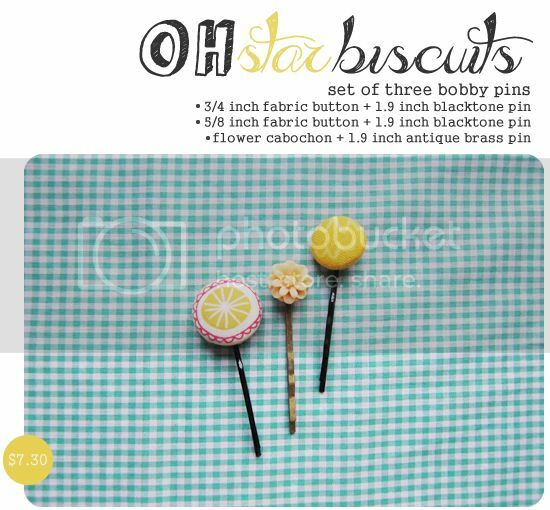 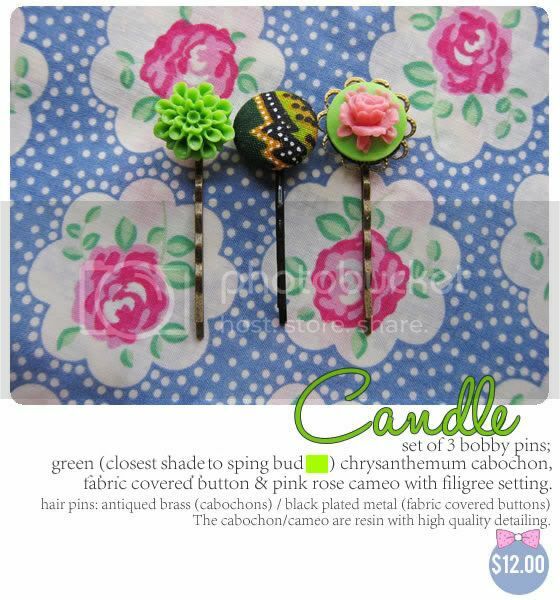 Get the best of both bobby pins; a fabric covered button pin & a flower cabochon pin! 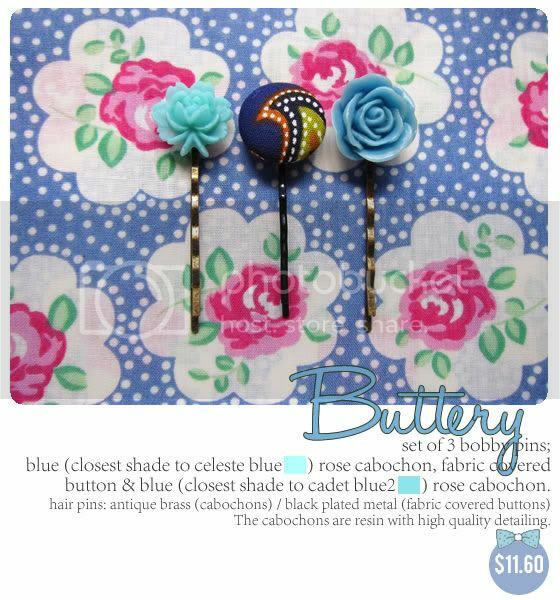 All items are handmade by Amanda. 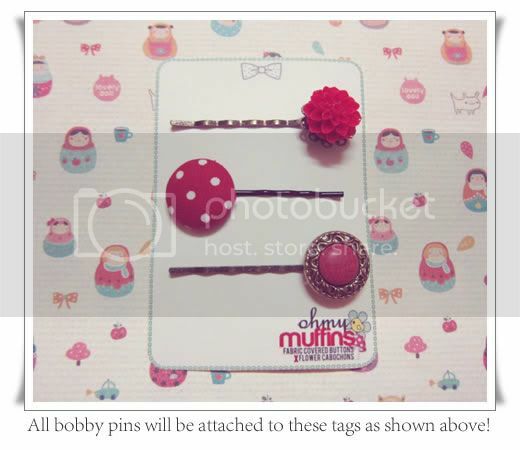 and avoid letting them touch any liquid. 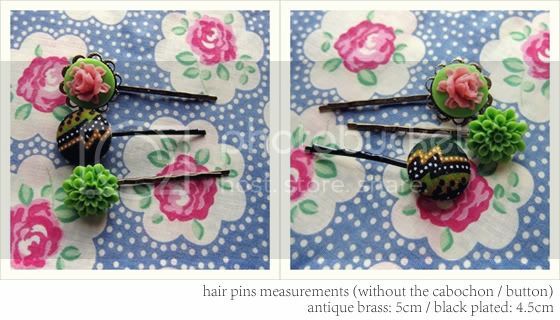 Please be gentle with them, thank you! 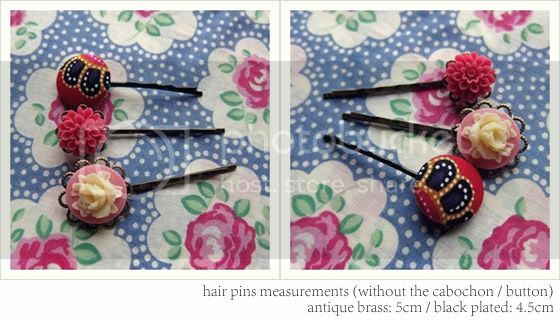 firmly secured to the pin with strong jewellery adhesive. 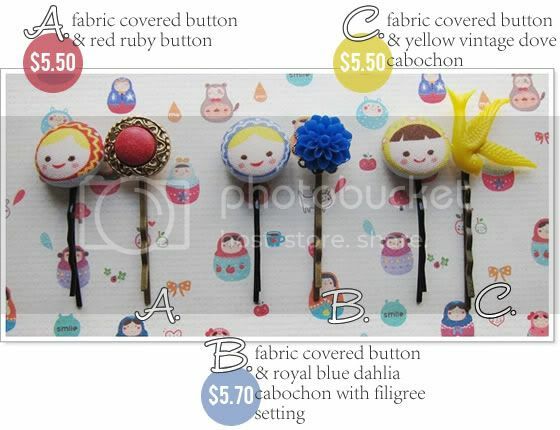 from my grandmother were used to cover these buttons.